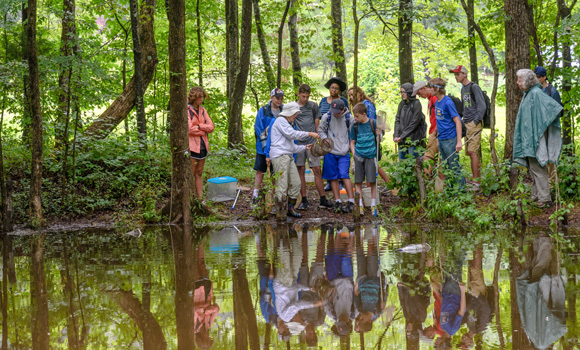 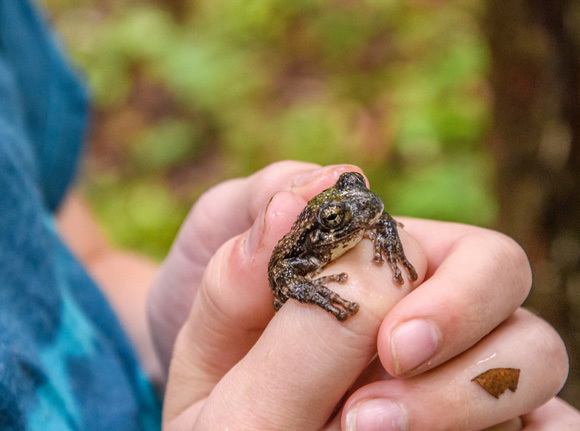 UNCG professor emeritus and Herp Project leader Dr. Catherine Matthews retrieves a trap with high school students at Chesnut Ridge Camp and Retreat Center. 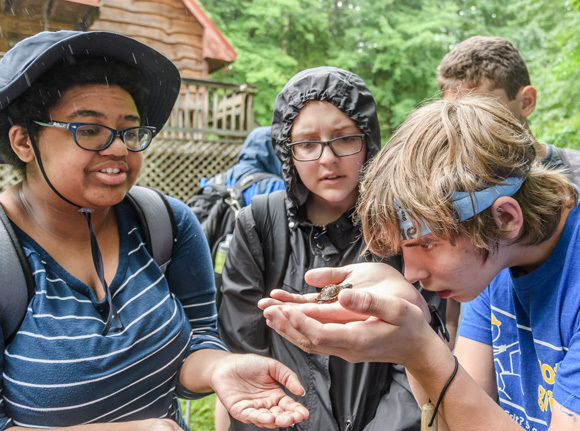 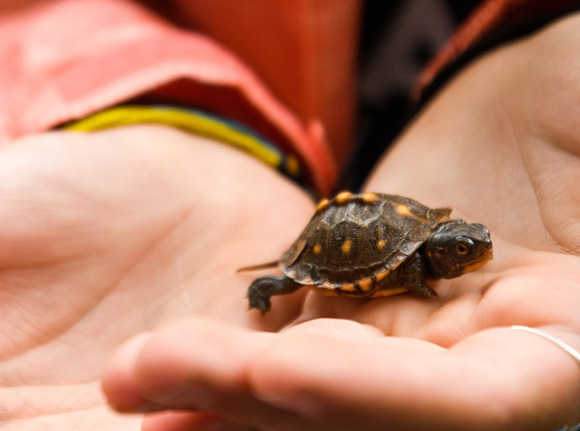 Campers examine the tiny turtle they found on their catch-and-release expedition. 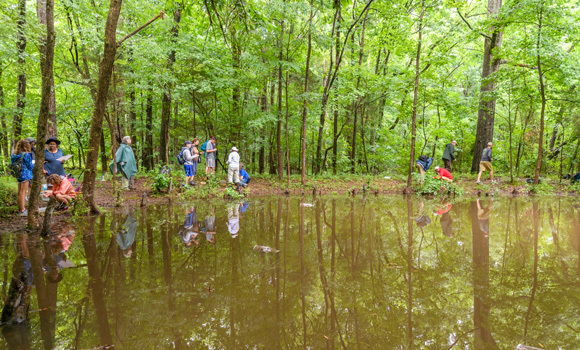 Herpetology campers explore wetland areas near Chesnut Ridge to locate a large variety of native species – turtles, snakes, salamanders and more. 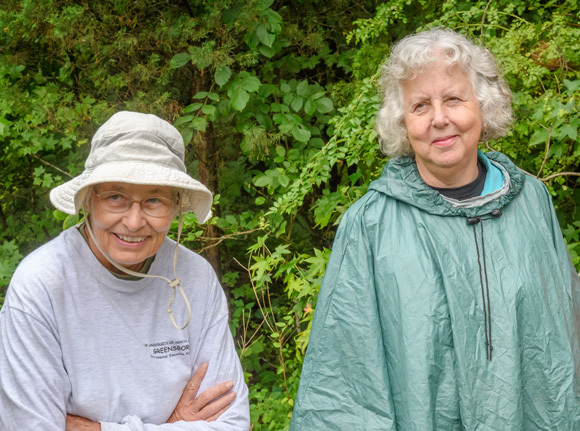 UNCG professor emeritus Dr. Catherine Matthews and UNCG biology professor Ann Somers, leaders in the Herp Project.